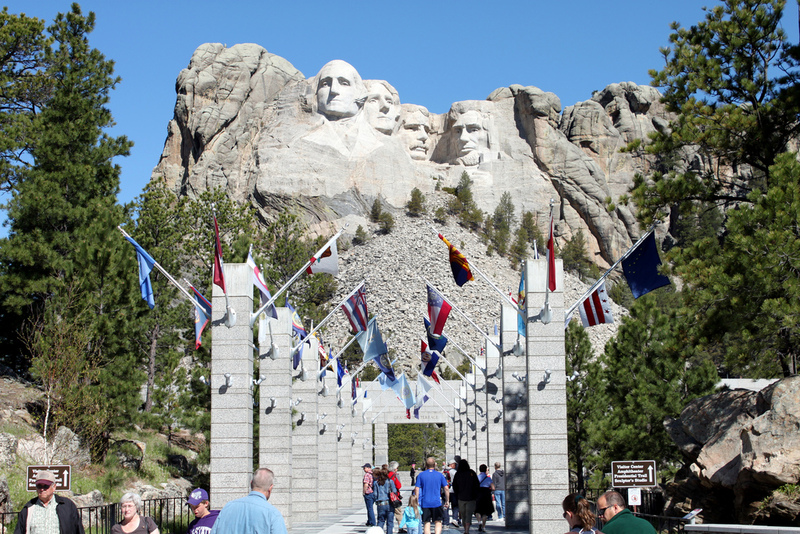 Near to Crazy Horse Memorial, there is the iconic mountain carving of four great American presidents, Mt. Rushmore. We have seen Mt. Rushmore in so many images and movies, we were really looking forward to visiting this national park in some ways as much as Yellowstone National Park. The Visitors Center is informative if somewhat crowded. 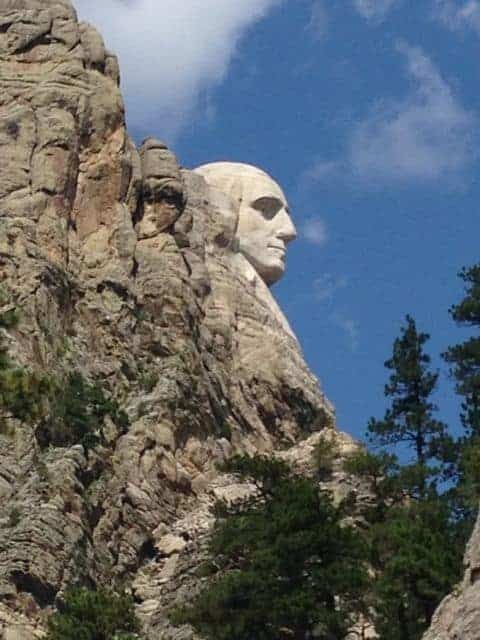 We watched an interesting video on the creation of the mountain carving and went around an exhibit explaining why these particular 4 presidents were chosen. 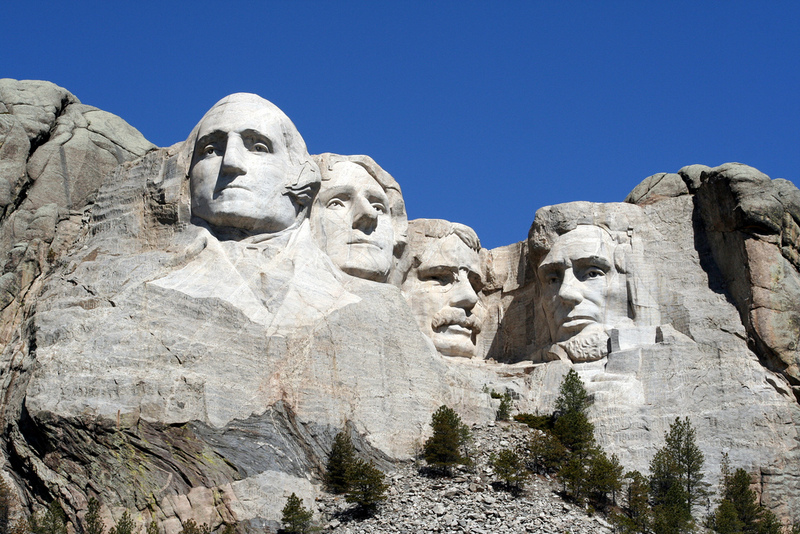 The four presidents were picked according to what they symbolised in the building of the United States as we know it today. 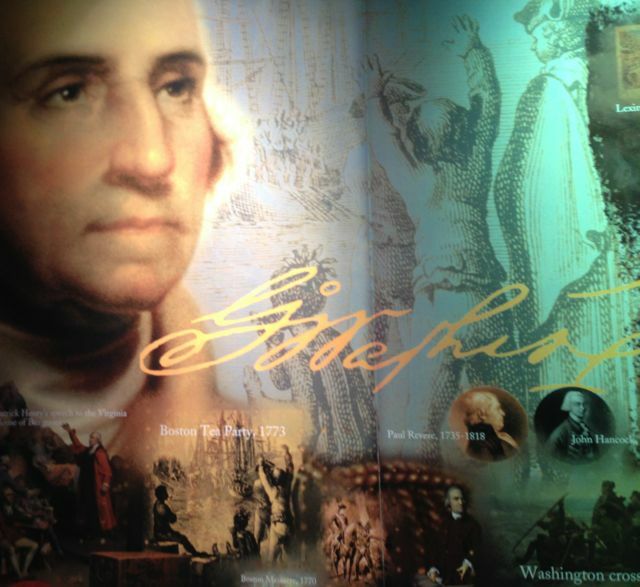 George Washington is famous for taking a ragtag bunch of farmers through the American Revolution the American Revolution successfully and setting an exemplary model as first president. Thomas Jefferson started the westward expansion of the United States with the shrewd purchase of territories from the French – the famed Louisiana purchase which gave us New Orleans! Abraham Lincoln fought to keep the United States together when it was in danger of dividing and eliminated the scourge of slavery. Theodore Roosevelt started the youngish country looking outside of its borders to determine its place in world affairs. And, yes, it helped Roosevelt was a patron of the sculptor. 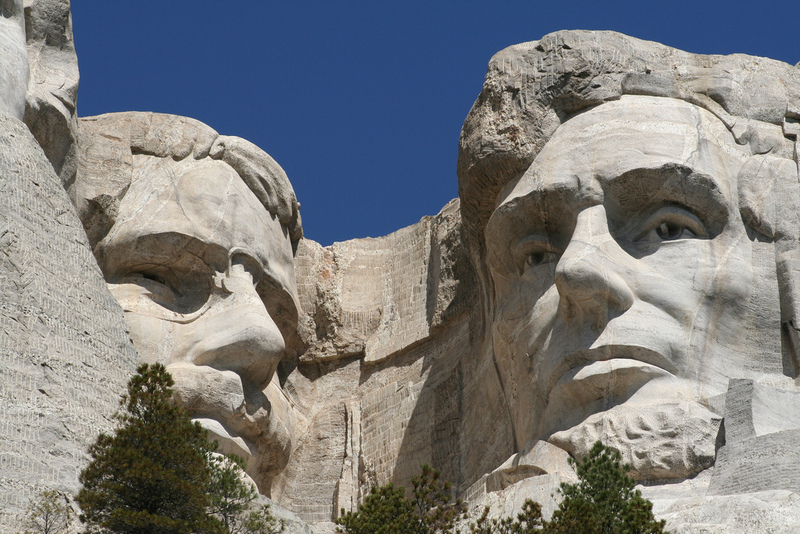 In addition to the visionary skill of its sculptor, Gutzon Borglum, Mt. Rushmore also has a tribute to the approximately 400 workers who laboured on the site. 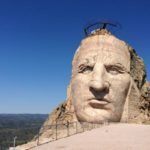 They were mostly locals (ranchers, miners and and lumber men) who worked for 14 years to transform a giant piece of rock into a sculpture using dynamite and drills. Of course, Korczak Ziolkowski, the sculptor for Crazy Horse Memorial is listed as one of the workers. 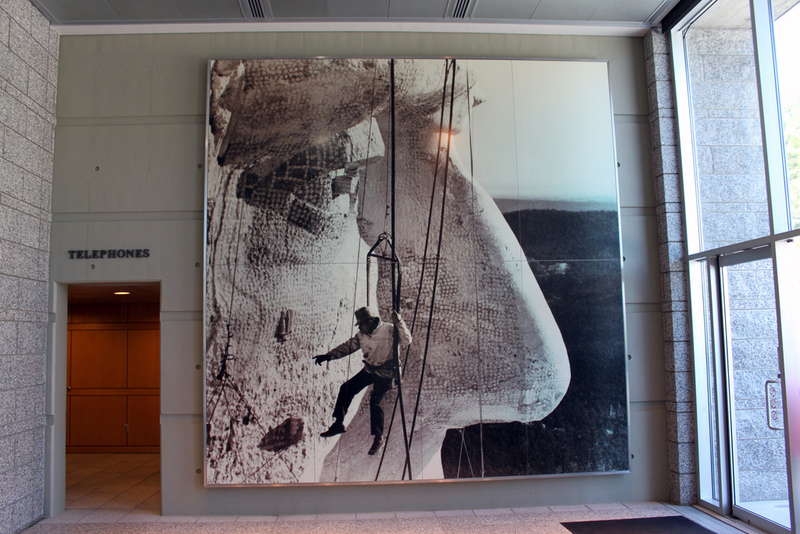 Mt Rushmore is where Korczak learned about mountain carving before leaving as a result of a tiff with Borglum’s son. Amazingly, no worker died during the building of this monument when you consider they were dangling by slings from the top of a mountain and dodging explosions. Borglum, himself, had a controversial backstory. He was the son of Danish immigrants born in Idaho. 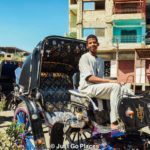 His father was a Mormon bigamist who took 2 sisters as wives. The sister-wife who was Gutzon’s mother abandoned the family when he was young. Charming and intelligent, he studied art in Europe before rising to prominence on the East Coast sculpture scene. Eventually. he was commissioned by the Daughters of the Confederacy to build a mountain carving in Georgia during which time he rose through the ranks of the Klu Klux Klan. 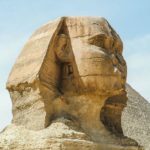 (The National Park Service has supposedly given up trying to whitewash this tidbit of information – one of the nation’s greatest monuments was built by a former KKK member!). Borglum got fired by the KKK though which freed him up to do a national monument at Mt. Rushmore. Built during the Great Depression, Borglum had to lobby politicians and the public to get this sculpture done because federal money was scarce. Dying before his sculpture was done, his son Lincoln finished the project for his father. You could tell many other people had also come from far and wide because the car park was full of cars with license plates from far and wide. The Mt Rushmore car park was a really good hunting ground for the children’s US and Canada license plate game that we had started on our road trip to teach them the US states. We enjoyed our visit to Mt Rushmore. In some ways, it was anticlimactic because we felt we had seen it already. Of course, you notice details that you can’t see from photos and movies. For example, Roosevelt’s monocle was a line carved onto his cheek which the light falls on so perfectly that it looks like he really is wearing a monocle. Be prepared also for plenty of tourists – you may find it hard to get a moment’s peace with the monument. We were a bit spoiled, I suppose, because we had paid extra to get up close and personal with Crazy Horse with no one else around. I think both Crazy Horse Monument and Mt. Rushmore are amazing in their own way. Mt Rushmore represents the dreams and the ideals of a nation and the Crazy Horse monument points out that achieving these lofty goals came at a price. 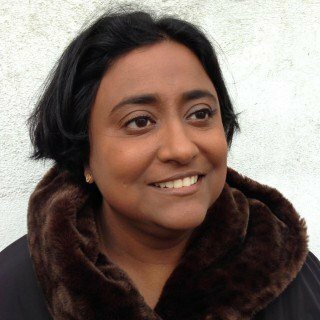 The sculptors, likewise, were talented individuals with interesting lives highlighting different aspects of the American story – immigrant parents, religious fervour, racial tension, family values, pioneer hardship and an unabiding belief in your dreams. The Wild West: Everything’s Bigger Out Here!